As famous Czech writer Karel Čapek once said, "Life is not written, life is lived.” Writers, architects, journalists and art critics have all influenced 1930’s events, including construction, which is exactly why so many beautiful timeless buildings were built during this time period… places where you don't just live, but where you really experience life. 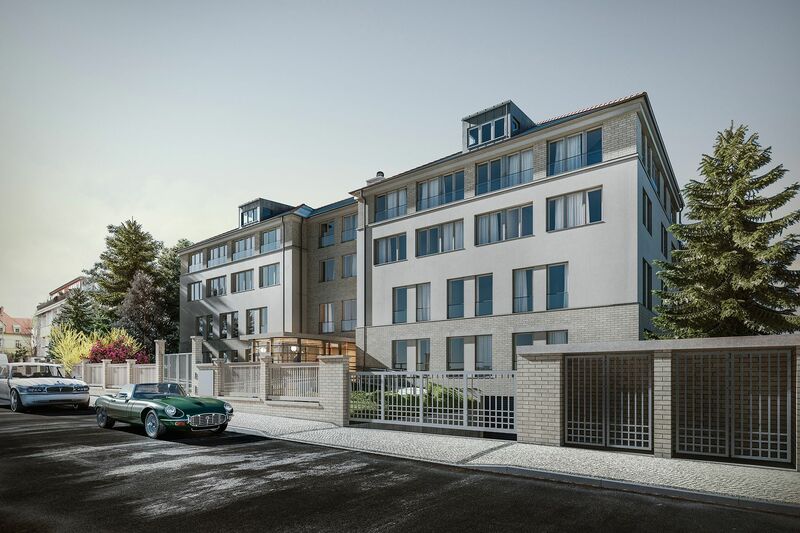 Vinohrady, where so many gorgeous villas were built in the 30s, became part of Prague in 1922. Many villas are now surrounded by new, modern residences, built with respect to the local atmosphere. The residence offers 13 unique apartments, the smallest with an area of ​​118 m2. There will be 50 garage parking spaces. The exceptional energy-saving house with reception, lift, camera system and security is entirely barrier-free. The residence will be surrounded by a carefully maintained garden. Completion planned for Q2 / 2019. The spacious apartments are optically expanded by their large wooden windows, which are shielded by electrically controlled roller blinds. Apartments are oriented to several cardinal points, so the sun illuminates all rooms during the day. 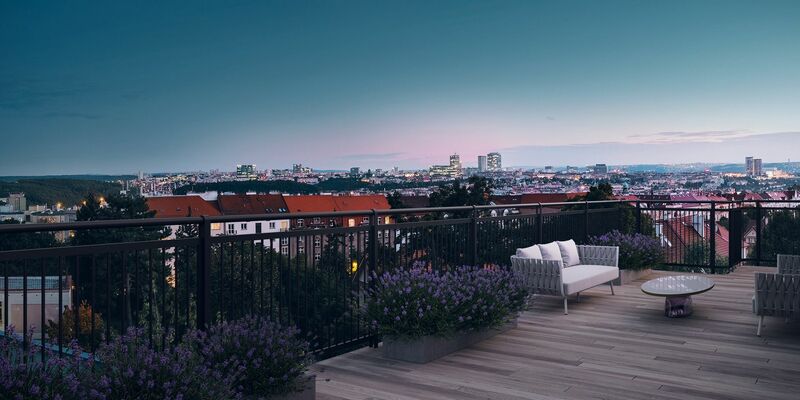 Top-floor terraces provide panoramic views of the city, with private gardens on the ground floor. 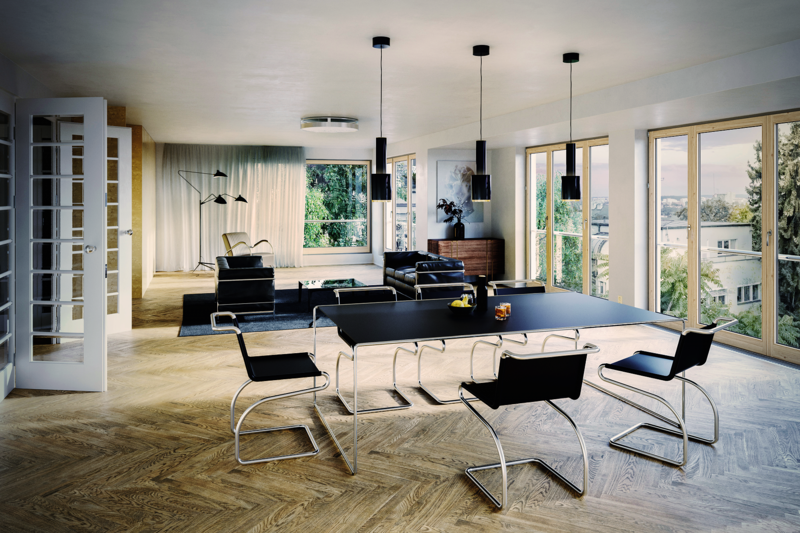 Standards will include solid oak parquet flooring, a controlled ventilation system with heat recovery unit, top sanitary equipment, and preparation for an intelligent home system. Art Nouveau and modern villas on one side, a noble villa on the other. A location where many prominent personalities of the 1930s lived, including the Čapek Brothers. Extensive green areas can be found in the area including the Havlíčkovy sady (Grébovka) and Riegrovy sady parks and perfect infrastructure including a dense network of urban transport. Within walking distance of several kindergartens and primary schools, theaters, restaurants, cafes and bistros, a number of small shops and a large shopping center, and the farmers markets at Jiřího z Podebrad square. The center is just a few minutes by metro and tram.